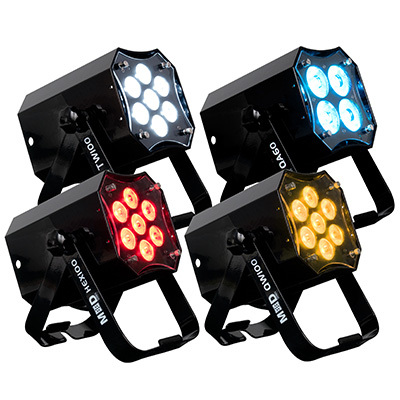 The Penta Pix features five powerful 15W 4-IN-1 RGBW LEDs which are mounted behind ACLs (Advanced Collimator Lenses) to create razor-sharp 6-degree beams. The inclusion of white within the LED source means that the fixture can create the classic ACL ‘white fingers of light’ look, while its RGB components mean that this effect can be taken to the next level by introducing rainbow colours and chasing patterns. A distinctive fixture, the Penta Pix has a slim central unit with the five lens assemblies attached to the front in a fixed fan pattern. This helps with setup, as the lenses are perfectly positioned in an equally-spaced arc. Each of the five individual lenses can then be angled on its X-axis, adding further versatility to the Penta Pix effect. It’s easy to set each lens in a central position, to create a straightforward flat fan pattern, but it’s also possible to create other effects. For example – by tilting the first two lenses up and the last two lenses down – a sloping fan effect can be generated, perfect for if two Penta Pix units are used to flank a rig. Alternatively, the lenses could all be set at different angles to create a random beam effect. 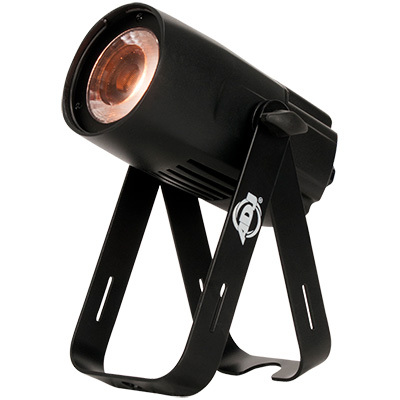 The fixture is fitted with a flexible scissor yoke which, when folded together, can be used to hang it from a truss or lighting stand at any angle. However, if the two sections of the yoke are folded out, they can also form a floor stand to allow the effect to sit on the ground pointing upwards. The unit is also fitted with a safety hook for attaching a safety cable to provide added security when the effect is positioned above a crowd. Considering its powerful effect, the Penta Pix is a relatively light and compact unit. 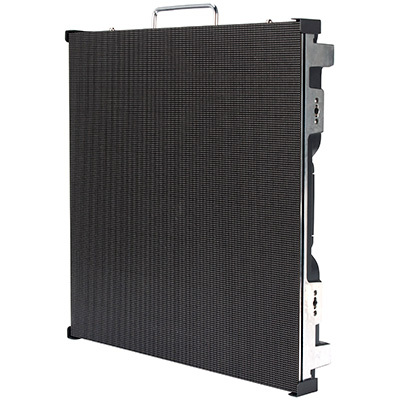 Measuring 530 x 280 x 260mm (LxWxH) and weighing 5.4 kg, it is easy to carry, rig, store and transport. 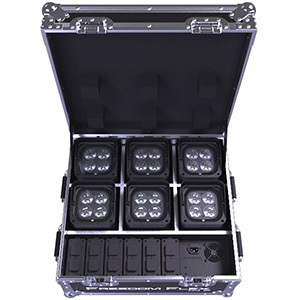 Housed in a tough metal case, the Penta Pix is designed for life on the road. 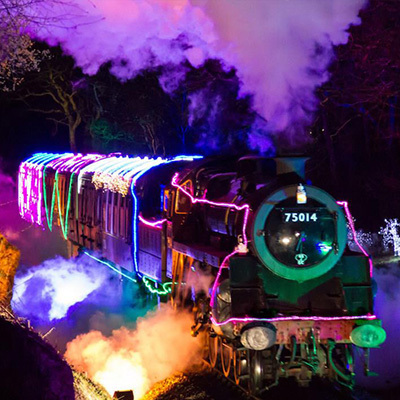 Thanks to its LED light-sources, it runs extremely cool, which means that it can be used constantly for as long as needed; all night if necessary! It’s efficient LEDs also mean that – despite its extremely bright output – it has a maximum power draw of just 77W, making it ideal for use in situations where an impactful effect is required but the power supply is limited. 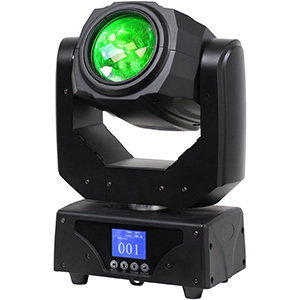 The fixture is also fitted with a 4-button LCD function display, which makes mode selection and addressing easy, as well as 3-pin XLR Input and Output sockets for connecting a control signal. With five operating modes, the Penta Pix is suited to every conceivable situation for which such an effect could be employed. Its Colour Macro Mode allows any of its 63 pre-programmed colours to be quickly selected directly from its rear control panel, ideal for use as part of a static mood lighting setup. For DJs who need to match a specific colour scheme, this can also be achieved without the need for an external controller. 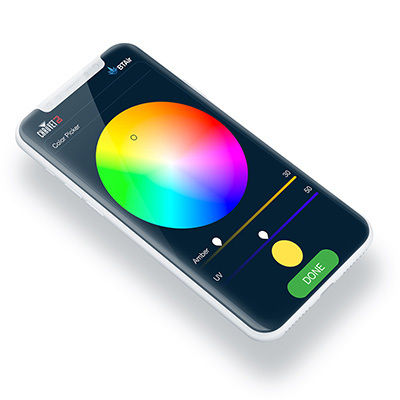 The RGBW Dimmer Mode allows the red, green, blue, and while primary LED colours to be dimmed individually allowing the creation of any conceivable colour hue. 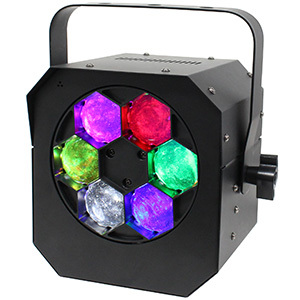 The Penta Pix can also work as a standalone effect, using Auto Run Mode, to cycle through 15 pre-programmed lightshows at a speed of the user’s choosing, or Sound Active Mode, to trigger the patterns using the beat of the music. For an even bigger effect, multiple units can be linked together using XLR cables for Master/Slave operation, with the pre-programmed lightshows running in synchronization across two or more fixtures. 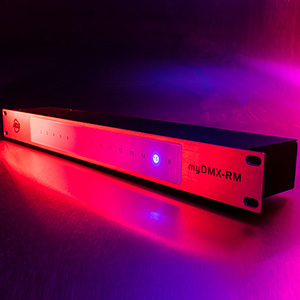 The unit can also be integrated into a larger DMX-controlled lighting setup and it offers a choice between basic 4-channel, intermediate 6-channel, and advanced 22-channel DMX modes. 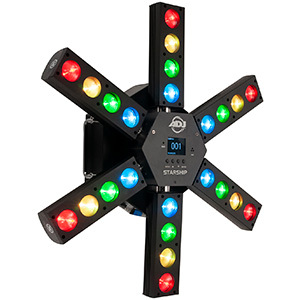 Using the full 22-channel option, individual RGBW colour mixing is offered for each of the five beams, allowing 5-zone pixel mapping effects to be created. The Penta Pix is available now from ADJ worldwide.